What's so special about Kona coffee? Some people think that a cup of coffee is a cup of coffee and that any cup will do... The rest of us know better. Let me tell you why this special coffee really does live up to its reputation. Coffee from Kona on the Big Island of Hawaii has become world famous, and is enjoyed by coffee drinkers all over. No visit to the Big Island is complete without enjoying a local roast and no suitcase home is fully packed without at least a pound or two for the road. There's nothing like relaxing at one of the Big Island's great coffee shops. 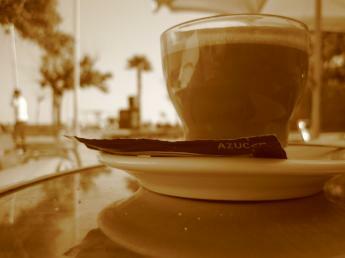 Enjoying a morning in the warm air with an ocean view and a hot cup of fresh local coffee is about as good as it gets. As the sun comes up over the mountain in the east, Kona begins to glow in the morning light and a good cup coffee makes the experience that much better. I know, I know, not everyone enjoys coffee that much. But learning more about coffee is also a fun way to learn more about the history and culture of the Big Island. And if you don't drink it, I'm sure your coffee drinking friends will love you for brining back some beans for them. The history of coffee on the Big Island of Hawaii goes back to the early 1800s. The coffee plant is not native to the Hawaiian Islands and coffee was first planted on Oahu about 200 years ago. By 1828, missionaries had brought the plant to the Big Island. The 19th century saw the coffee industry explode on the Island. Why was it so successful? Well, it turns out that the Big Island provides the ideal climate and conditions for growing the famous coffea arabica bean. This type of plant flourishes in the early morning sun and afternoon rain that is common on the slopes of Hualalai and Manua Loa. The ups and downs of the international coffee trade caused the demise of plantations on other islands. But the coffee industry survived in Kona because the quality of the beans that come from Kona is so good that they could be sold at a profit even when the market was bad. Now before going out and buying Kona coffee, whether on the Big Island or at home, there are a few things that you need to know. Most important is the fact that all packages of coffee with the word "Kona" on the label are not created equal. 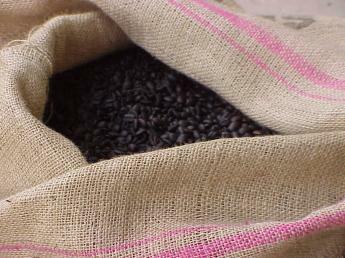 Coffee from Kona is divided into two types of beans. The first type of beans are from berries that contain two beans each. The second type of beans are from berries that contain only one bean. This second type of coffee is more sought after and is called Peaberry. Peaberry beans make up only about 5% of the total Kona crop. The best of the Peaberry beans are called Peaberry Prime. Other beans from the first type are also graded according to size, moisture, purity and other factors. They get labeled things like "fancy" and "extra fancy". The next important thing to know is the difference between Pure Kona Coffee and a blend. Pure Kona Coffee means that all of the beans in the bag are Kona beans. A blend can be as little as 10% Kona beans mixed with other varieties. Look carefully at the label. Blends usually say "KONA COFFEE" in huge letters and "blend" in tiny letters. Another common classification that you'll see is Estate Kona Coffee. "Estate" means that all of the beans in that bag are 100% Kona beans and that they all came from the same farm. A good way to know whether you're looking at the real thing is the price. Pure Kona Coffee sells for about $20/pound. If its much cheaper, its probably a blend of some kind. Another thing to watch out for is other kinds of Hawaiian coffees that are not nearly the quality of the Kona variety. Inferior coffee is produced all over the islands under conditions that fall well short of Kona standards. They're labeled as 'Hawaiian' but don't be fooled—They're not the Kona variety. Find out more about these other Hawaiian varieties. So, now that you know how to find the real thing and what makes it good, the next step is to try some yourself. 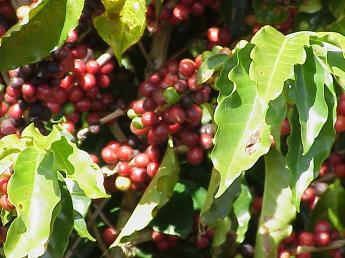 Other than having a cup, you can learn more by visiting one of the hundreds of coffee farms on the Kona coast. Most of these are smaller farms of a couple acres. But there are lots that are hundreds of acres. The Twigg-Smith Estate is open to the public for free tours and samples. Its just a few minutes drive from downtown Kailua-Kona.